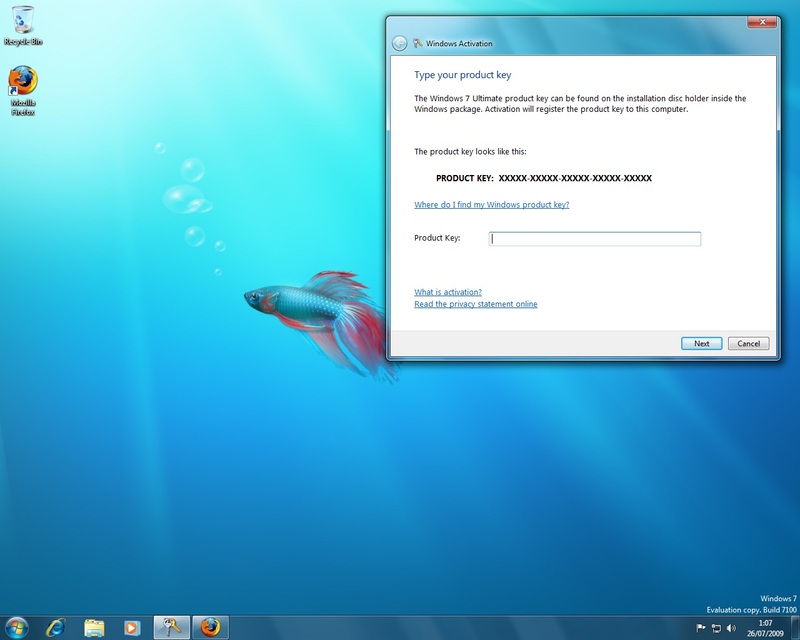 Got my second copy of windows 7 rc for 32 bit after the failure of 64 bit version last time. This time it is a direct install from official microsoft dvd. Even got the colorful thingie on it. The installation takes a long time as usual. Then as expected, this copy too cannot access the internet. All attempt to connect to internet is greeted by time out screen. But I came prepared, armed with knowledge gathered from the net using the trusted XP. It seems that not just I that having this issue. Simple diagnose said it can’t reach the primary dns server. Yet the icon beside the speaker and clock said I already connected to the net. All those netsh and ipconfig commands are used without any reserve and yet still I failed.Opendns? other isp’s dns? All tried and failed. 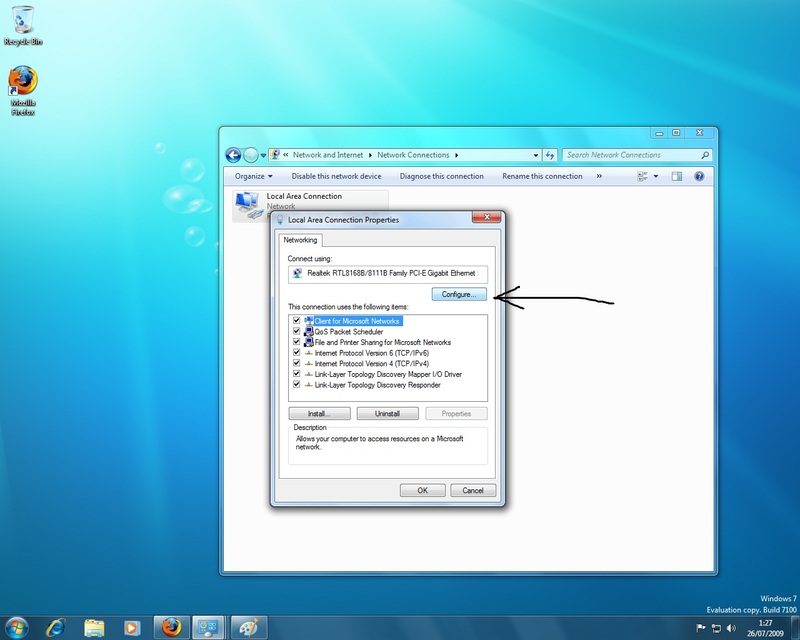 Maybe it is just my network card issue but then I found that some user that use same card as me realtek rtl8168b manage to get it work by using spoofed MAC address. I tried it and it works and make me wonder, why the fxxk does it works? And not to mention I came to this same DNS issues in Vista and have yet to try the solution. 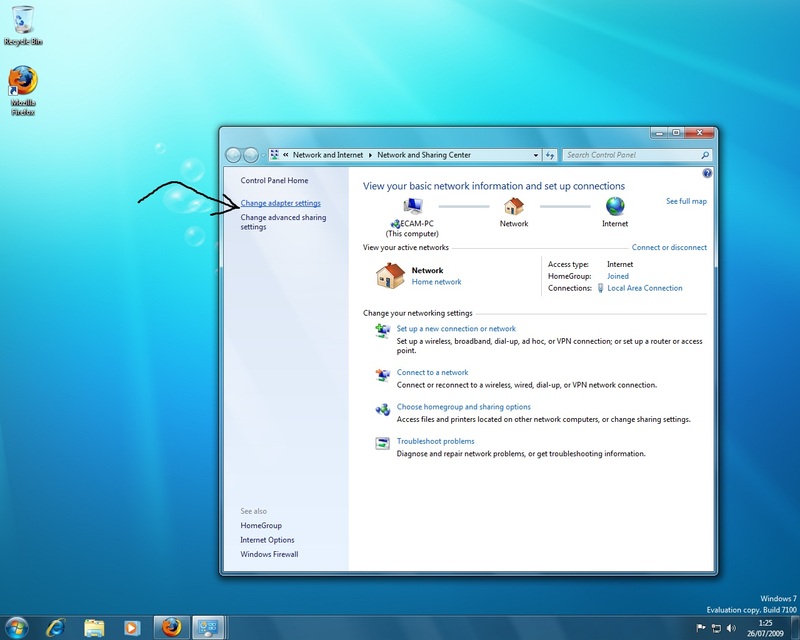 2.Â Then right click the network card icon and select properties. 3. After that click configure then advance tab. If it still doesn’t work, too bad. Hope Microsoft doesn’t fuxx up during retail release and this issue is fixed. Meanwhile, you can always use XP. When I type 74.125.43.99 page works correctly. (b 7600) home premium my internet was working fine for 2 days. I did not installed any software, it just stopped working. have u tried my solution yet? you should read the whole post and give it a try first.